Imprivata® (NYSE: IMPR), the healthcare IT security company, and VMware (NYSE:VMW) today announced a collaboration that will create a new mobile clinical capability for healthcare by combining Imprivata OneSign®, Imprivata Confirm ID®, and Imprivata Cortext® with VMware Workspace ONE™. This new solution will simplify mobile access to electronic health record systems (EHRs), enable DEA-compliant electronic prescribing of controlled substances (EPCS), and provide secure communication between clinicians and patients, from Workspace ONE managed devices. IDC projects that the healthcare industry will spend $30 billion on mobility solutions by 2019, a compound annual growth rate (CAGR) of 7.2 percent. 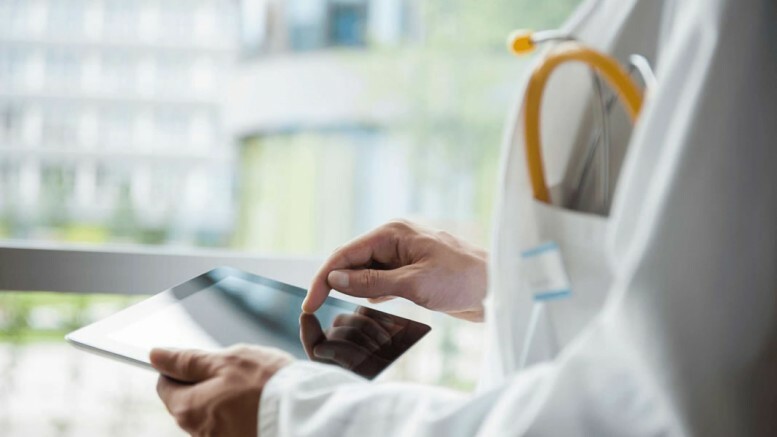 Health IT organizations have unfortunately been limited in their selection of solutions to help physicians maintain effectiveness regardless of where they are or their device of choice. Imprivata OneSign allows healthcare workers to leverage their OneSign credentials to securely access Windows and cloud-based applications via Workspace ONE managed mobile devices including smartphones, tablets, and wearables. Imprivata Confirm ID provides a comprehensive two-factor authentication capability to Workspace ONE managed devices, across multiple healthcare workflows, including secure access to patient records, DEA-compliant e-prescribing, computerized physician order entry (CPOE) and medication ordering. Imprivata Cortext provides secure communications between clinicians and between clinicians and their patients. The Digital Clinical Workspace builds on VMware AlwaysOn Point of Care™, a reference architecture used by healthcare organizations globally. Designed specifically for healthcare applications, and tested with an ecosystem of healthcare and infrastructure partners including Imprivata, VMware AlwaysOn Point of Care mobilizes healthcare providers, enabling secure access to PHI to improve patient care decisions and provide a new level of flexibility. Visit Imprivata at HIMSS booth #3043 to demo VMWare Workspace ONE’s integration with Imprivata Cortext, available for purchase today. Imprivata Confirm ID for Workspace ONE managed devices will be available in the second quarter of 2016.